The post starts with Nikola Tesla and finishes with a little bragging about Samsung’s own wireless charging division, who has managed to cut the cost of wireless charging components to a tenth of their original price in just 10 years, while also improving the efficiency at which the technology is able to charge a phone (hint: it’s faster, but still slower than wired charging). 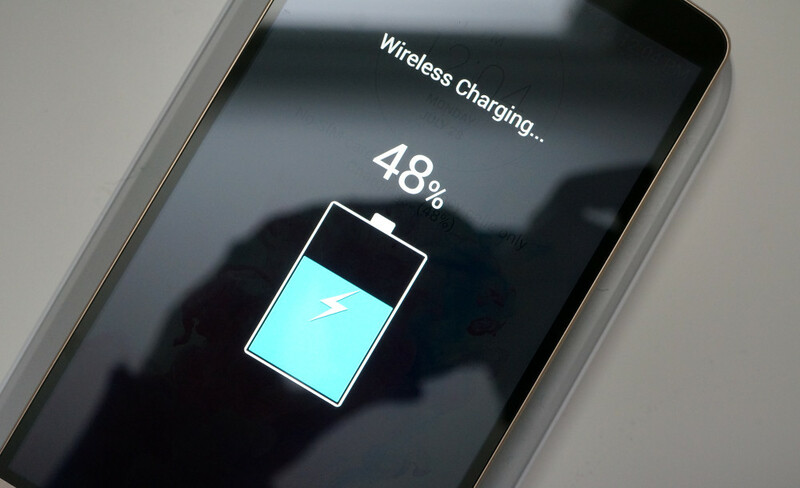 It’s an interesting topic that is worth a read through, should you be interested in the history of wireless charging. But in the end, this all comes down to how they plan to bring wireless charging with the next Galaxy devices. They dropped a couple of potential hints that actually could change wireless charging for smartphones in a really good way. Samsung notes that components were released last year that support multiple wireless charging standards on a single chip, which would mean that you could wirelessly charge your phone no matter what type of charging pad you have sitting in front of you. Specifically, Samsung says they will “accelerate to democratize” wireless charging technology with their upcoming Galaxy line. If you don’t understand how important that is, just read this ranting piece I wrote about AT&T being in bed with the Power Matters Alliance (PMA) and how it ruined one of the best features of the LG G3. This could be huge. If this post is hinting at what we think it is hinting at, then you may be able to wirelessly charge your Galaxy S6 at almost any wireless charging station, pad, or table without every worrying if your device is supported by it or not. But not just charge it – charge it faster, with what may be the slimmest, embedded wireless charging unit ever. Wireless charging fans, your mouth should be watering right now. Update: Samsung just dropped this new teaser, which seems to hint at faster charging (maybe performance too).